When you start having a conversation about how much pain is too much during an execution, you know you are probably having the wrong conversation. 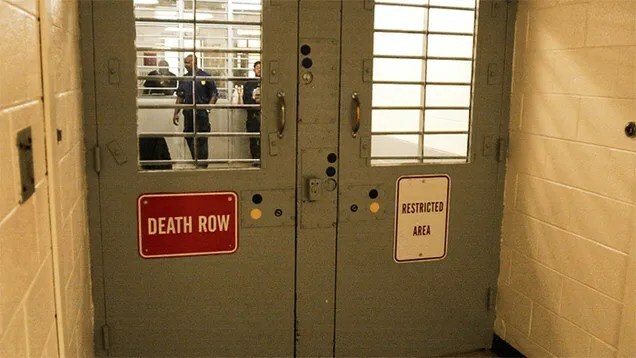 The people who administer executions for us say, “The state does not guarantee you a painless death.” After watching the police off one black man after another, like a shooting gallery with real guns, that’s a chilling thing to hear someone say. Naturally the people who run the police state want to have things their way. We can’t let criminals get out of control. Now the Supreme Court says that execution by lethal injection is a safe and effective prophylactic. It saves the victim from doing more harm to his soul. I haven’t even read a summary of the Supreme Court’s opinion in this case. I just saw a quotation that sounded a lot like the official who said that the state does not guarantee me a painless death. Socrates drank hemlock, then talked with his friends as his limbs grew cold. Now we strap the victim to a table, then administer drugs that cause the condemned person to gasp for air for forty-five minutes, an agonizing death we wouldn’t put a dog through. The officials who administer these executions say yes, but these condemned people are criminals, convicted with due process in a jury trial. They deserve what they get. No one wants to be a criminal coddler; officials need not even utter the word coddle. Yet who believes anymore, after all the DNA acquittals, after all the appalling corruption of prosecutorial power – where threats become standard currency in a plea bargaining process that has nothing to do with justice – who believes the chances are near certain that the poor person strapped to the table actually committed a crime? You don’t have to be an opponent of executions to see that whether or not the legal system convicts the right person is both an important question, and a crap shoot. Prosecutors don’t care about the truth, so why should anyone else? If your main goal is to obtain a conviction, not do justice, then who cares whether or not you execute the right person? The state and the people who pay you want you to convict someone. Hence your job as prosecutor is not to administer justice. Your job is to convict the person in the dock, not determine why the person in front of you wound up in the dock to begin with. Finding out the truth would complicate the game hugely. Plea bargaining to elicit false or misleading testimony simplifies the game. Everyone understands the kinds of things prosecutors do to obtain convictions, but people involved in the process go along nevertheless. The result is that again and again, we discover we have convicted, sentenced, and perhaps executed the wrong person. It’s like seeing the Ox-Bow incident played out again and again. An urgent prosecutor, self-appointed in the field, wants to see justice done for stealing cattle, and justice for the supposed thief means hanging from a tree. So they hang him, go back to town, and discover they executed the wrong person. That’s the story of our criminal justice system. That’s the reason people lose confidence in government’s ability to administer justice competently. Actually, a number of reasons exist, but one of them is that we so frequently send the wrong person to death row. So let’s return to the question of how much pain is too much. To speak to that twisted, apparently critical issue, why don’t we just torture people to death? Because that would be cruel and unusual? Because we just wouldn’t feel too good about that? Because other people around the world would disapprove? If we don’t like the idea of torturing people to death, then how much do we have to reduce pain inflicted on our victims before we feel the process is tolerable, for us? If forty-five minutes of gasping on the table is not okay, would we settle for twenty? If twenty minutes is not okay, would we go with five? We all have shortness of breath from time to time. When the veterinarian put my dog down twelve years ago, my dog did not suffer at all. She was innocent, and deserved a peaceful end. We know how to execute people the same way. As we tie ourselves up over questions related to lethal injection, activists seem to have reduced the pace of executions for a little while. Officials forced to fiddle with drugs required to kill people, and forced to engage with a supply chain that just won’t cooperate, must feel they deserve a peaceful end. We can see from the reductionist and even absurd turn the legal discussion has taken – how much pain is too much? – that we will not, by happenstance, settle the issue of how we ought to treat people who may have committed a serious crime. Right now we have a ruling from the Supreme Court that a little suffering on the gurney can’t be helped. If you want to put people to death, the justices seem to imply, a little suffering on the gurney is better than a lot of suffering. So that’s where we appear to wind up on the issue of executing people: a little discomfort is okay, but a lot is not. If we feel comfortable with execution as a way to administer punishment to people who have not survived the legal vetting process, why do we close these affairs to the public? Does hanging make good theater, but lethal injection does not? The last public hanging occurred in 1936, almost eighty years ago. We did not shut down gallows in the public square because people stopped coming to watch. We might feel a little odd about the spectacle if we built a stage in the middle of town, rolled a gurney with a man strapped to it out into view, then made him writhe around with lethal substances in his blood. It reminds me a little of William Wallace’s execution in Braveheart. We ought to think about why practices of punishment evolve the way they do. Solitary confinement, another serious punishment, also occurs out of sight, out of mind. We used to put people in stocks, which was a type of solitary confinement in public, with public abuse thrown in. Now the state prefers to conduct its punitive activities in private. Why do you suppose?